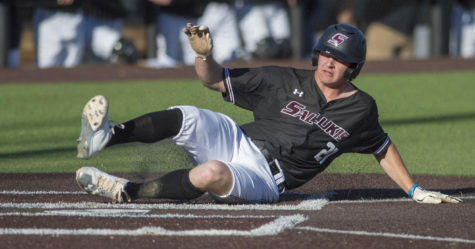 The Salukis traveled to Western Kentucky University for a three-game series and came away with two victories. In the first game against WKU (2-5) Friday, SIU (4-3) went into the ninth inning with a 7-5 lead. Sophomore right-handed pitcher Todd Eaton came in to get the save, but gave up two singles to the first two batters he faced, junior pinch-hitter Blake Crabtree and senior third baseman Casey Dykes. Both runners advanced to second and third on a wild pitch, and both runners scored when WKU senior center fielder Jared Andreoli reached first on a throwing error by Saluki junior second baseman Brock Harding. Eaton struck out WKU senior second baseman Ivan Hartle to end the ninth. 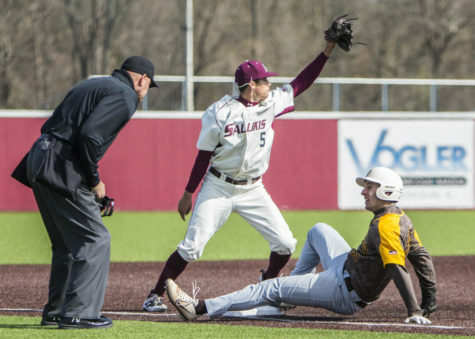 The Salukis and Hilltoppers traded single runs in the 10th and 11th innings until both teams failed to score in the 12th. The Salukis couldn’t capitalize on two walks in the top of the 13th, and junior catcher Devin Kelly drove in the winning run with one out in the bottom of the thirteenth to give WKU the 10-9 victory. 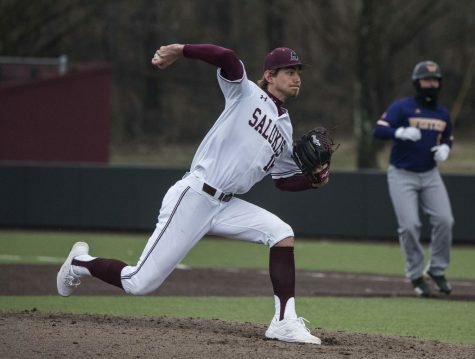 Saluki sophomore right-handed pitcher Matt Murphy (0-1) took the loss after pitching the last 2.1 innings, giving up five hits and two earned runs. Hilltopper sophomore left-handed pitcher Austin Clay (1-1) took the victory. He pitched 2.1 innings of no-hit ball, striking out three. The Salukis rebounded Saturday and won 10-3. 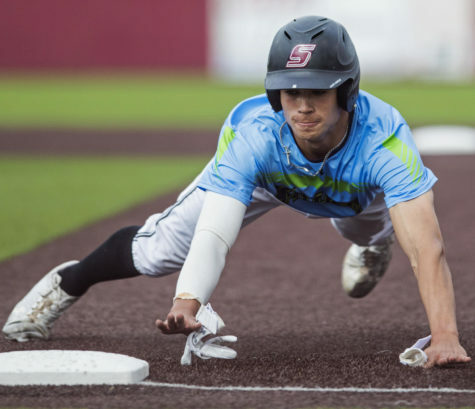 Sophomore third baseman Donny Duschinsky hit a two-run double that capped off a four-run fifth inning that vaulted SIU ahead of Western Kentucky for good. Junior designated hitter Austin Montgomery hit a two-run home run in the fifth, and finished the day with three runs batted in. Hilltopper sophomore right-handed pitcher Justin Hageman (0-1) took the loss after pitching the first three innings, giving up one unearned run on one hit. Freshman left-handed pitcher Ian Tompkins gave five runs in two innings after Hageman came out of the game. 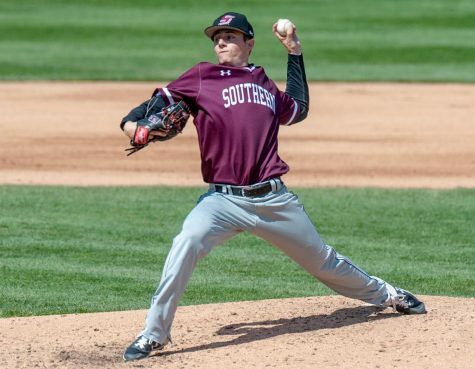 Saluki senior right-handed pitcher Cameron Maldonado (0-1) picked up the win. 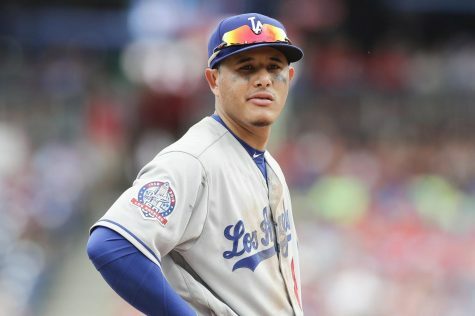 He gave up two earned runs on two hits in five innings, striking out six. 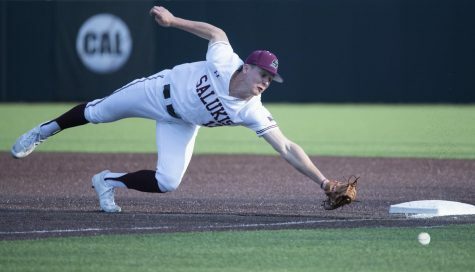 In the rubber match Sunday, SIU won 8-3 after a five-run seventh inning vaulted the Salukis to victory. SIU went into the top of the seventh winning 3-2, but scored five runs without the benefit of an extra base-hit in the inning. Junior left-handed pitcher Tim Bado (0-1) started the game for the Hilltoppers and took the loss after giving up three earned runs in five innings pitched. 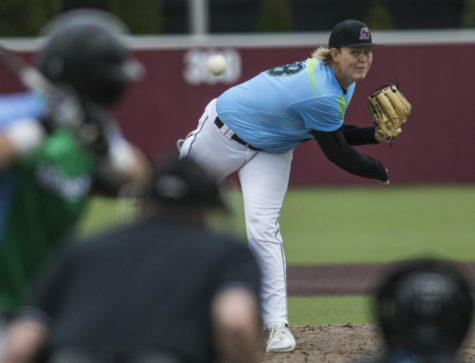 Saluki left-handed junior Nathan Dorris (2-0) pitched seven innings and picked up a quality start, giving up two earned runs in seven innings pitched. 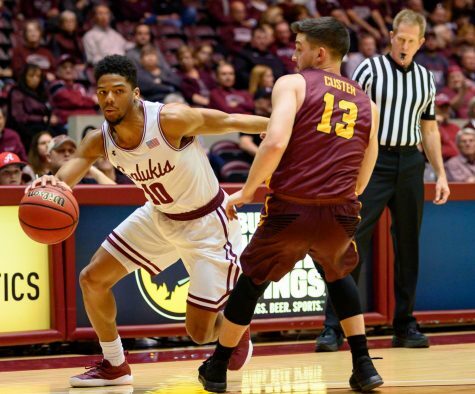 SIU plays their next game 4 p.m. Tuesday when it travels to Nashville, Tenn., to take on Belmont University.